A first-time traveler or otherwise; traveling with a laptop definitely has a negative side to it. Agreed that laptop makes a good travel companion which helps you bide the long hours during the travel; however, when the risk is more, then the ideal option is to leave the laptop behind and seek the laptop on rent at your destination. Let’s discuss the various risks involved in case you do decide to carry your business laptop during travel. At VRS Technologies, we offer individual and bulk laptop rental in Dubai for events, apps testing, product testing, students, schools, businesses, classroom training, and many more. Travelling sans laptop makes lot more sense especially during the air travel as many airports these days need you to check-in laptops which are delivered to you at the destination itself. Basically, this doesn’t make sense if you intend to carry a laptop to give you company during the travel. Laptop Damage: Whether you check-in the laptop or you carry it as a cabin baggage or during any other long-distance travel, the laptop can be prone to damage. As much as a quick fall, accidental collisions, or spilling fluids can cause irreparable damage to the laptops. It most certainly doesn’t make sense if you have an option to seek laptop rental at the destination and avoid any untoward happenings. Laptop Theft: A survey in the past has revealed that over 10,000 laptops are lost every week during travel. Laptop theft is all the more possible in case you are traveling from the airports which have regulations to check-in laptops for security reasons. Unnecessary Burden: Carrying laptops which are enormous in size is more likely to be an unnecessary burden than not. As an alternative, you can carry a tablet with you during the travel and opt for laptop rental at the destination which can fetch you the best of both worlds. Data Theft: There could be more malicious reasons to pinch the laptops than for just monetary benefits. Often times, the main reason could be to get hold of the sensitive business data. While you might think that carrying a business laptop offers easy access to all the data residing on it, a simple pen drive can do the needful. Redundancy: If you are carrying a smartphone or a tablet during travel, it could easily cover the entertainment factor. Of late, you can have access to music, Skype, Wi-Fi, storage, movies, etc on the smartphones as well. Taking the laptop along with you during travel is rather redundant in such background. At VRS Technologies, we offer laptop rental in UAE. You can leverage it by calling us in advance and we can have the laptops delivered at the desired location with all the software and hardware installed as per the specifications. 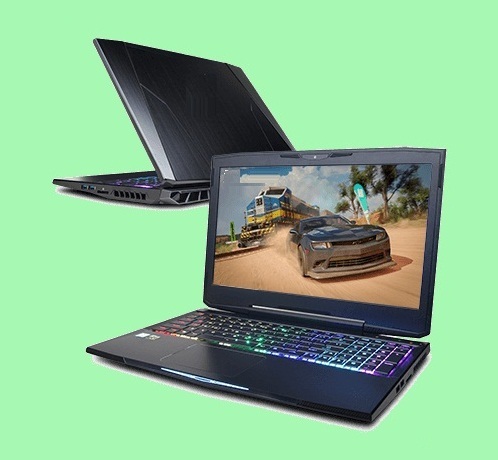 Contact us for seeking laptops on rent at +971-55-5182748 or visit our website www.vrscomputers.com for more information.